From 2002 to 2008 I assisted Charlie, my partner, running supported walks on the Larapinta Trail. The trail is 230 k’s long and runs through the heart of the West MacDonnell Ranges. It was a privilege to get to know a tract of remote country so well, to have time to draw it, be drawn in by it, time after time. The work that I did in my sketchbooks over this period became the backbone for my solo show at Araluen Gallery, Alice Springs, in 2007. 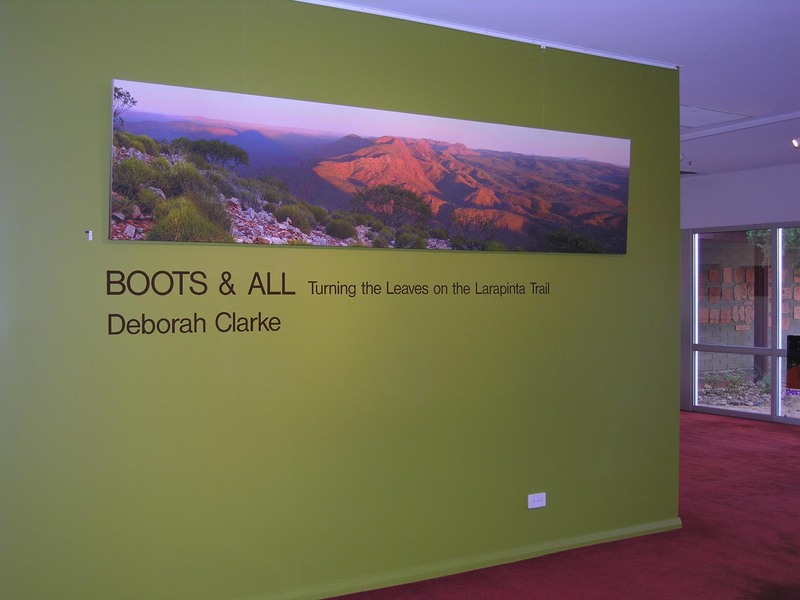 The show was titled ‘Boots & All’ and featured alongside the wall mounted work, a slide show of my photographs, interleaved with sketchbook pages, and overdubbed with a soundscape of conversation, birdcalls, and footfalls, all recorded while walking on the on the Larapinta Trail.